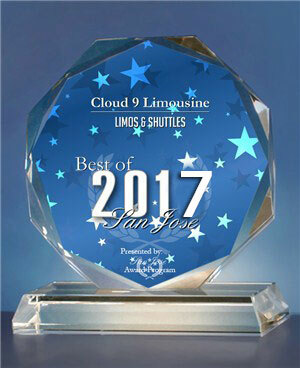 Cloud9Limo offers limo service for your Best Anniversary Celebration!!! Have you thought about enhancing the way of celebrating various anniversaries? Whether it’s your first wedding anniversary, or your 25th, any anniversary marks your special relationship to each other and renting a limo from Cloud9Limo we will make your Anniversary limousine service celebration a memorable and fun one. When renting limousine service for your Anniversary – Cloud9Limo will help you decide the right limousine for you keeping in mind to fit your limo service needs. Celebrate the special day for the ones who are really committed towards each other, an anniversary limousine is like a milestone they achieve for every year of a triumphant commitment. In our time we have seen all sorts of engagement proposals. So if you want a yes, you will need to make it special. Invite your friends and family for the ride, choose your own anniversary limousine, and let us help you add to your fun memories. 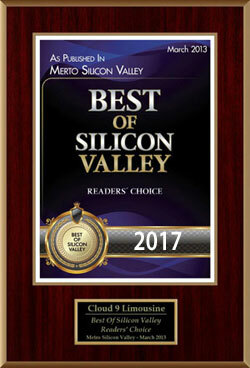 Cloud9Limo has been helping couples in the Bay area, celebrate anniversaries for over twenty years. Our anniversary limo service is specially customized to each of our client’s needs, in order to make your romantic anniversary an exciting and magnificent event. Nothing is too much trouble to ensure that your romantic evening plans are executed flawlessly. Whether it’s as simple as getting you to the restaurant or theatre on time, making sure that the champagne is on ice, or transporting you off to your hotel or getaway, our professional & courteous Cloud9Limo chauffeurs will accommodate whatever your heart desires on your anniversary night out! Call us today at 1-800-591-9499 and ask about our special pricing!